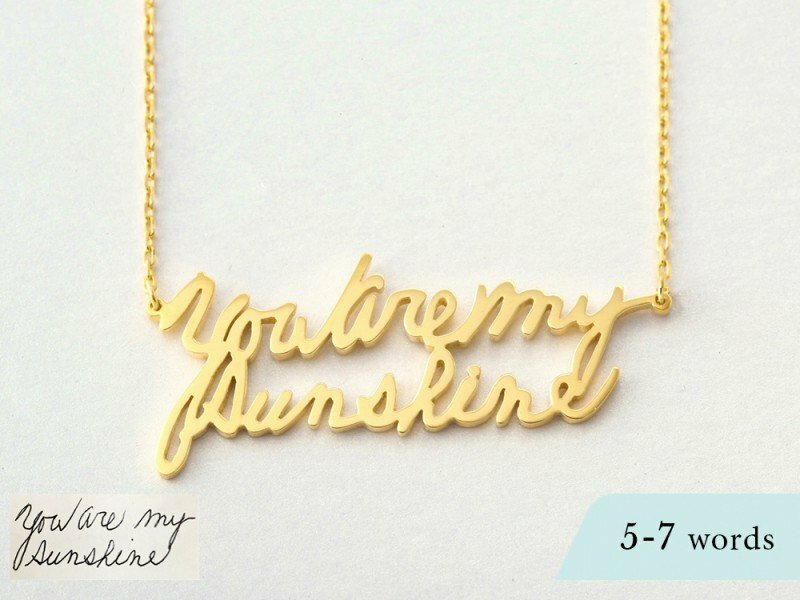 This personalized handwriting necklace with larger pendant size is a personal yet trendy way to wear someone's handwriting close. 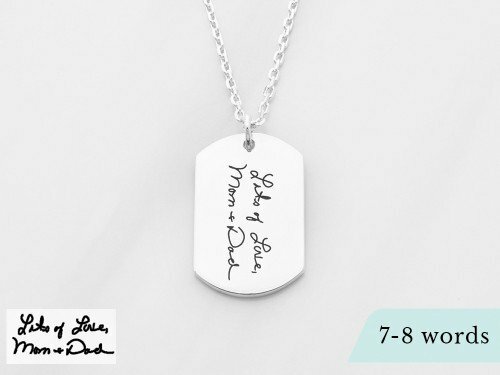 A beautiful reminder of someone's love, the custom handwritten necklace can be made with any handwritten note and is available in both sterling silver and 18K yellow and rose gold plated silver. 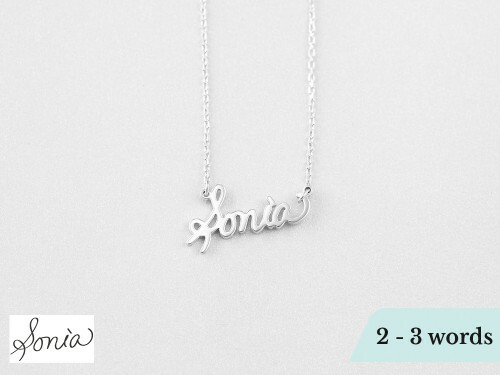 - Words can run in 1 -3 lines depending on the length and your specifications. Unless specified, we will adjust based on our experience of what will look and wear best. 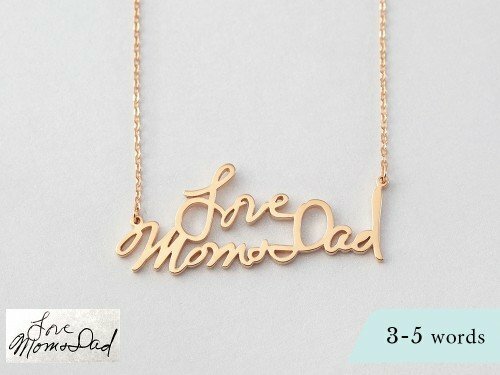 Word limits: 7 words. - If you want to extract just a few words from a long message, make a note to us under "Instructions and requests". Measurements Pendant measures approx. 2" in width. 3Handwriting image 1: File uploaded! 4Handwriting image 2: File uploaded!